Another contraction saw Division Four dropped in 2009. 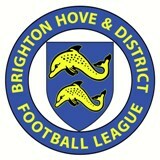 The merger with the Worthing & District League was agreed. The two leagues merged their Premier Divisions in 2014, in preparation for a full merger 12 months later. Division Two was dropped and Division One became Division One East while the ex-Worthing Divisions were Division One West and Division Two West.